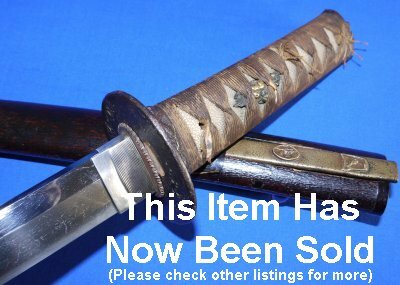 In good condition & polish, a well made Shinto Japanese Wakizashi, unsigned. 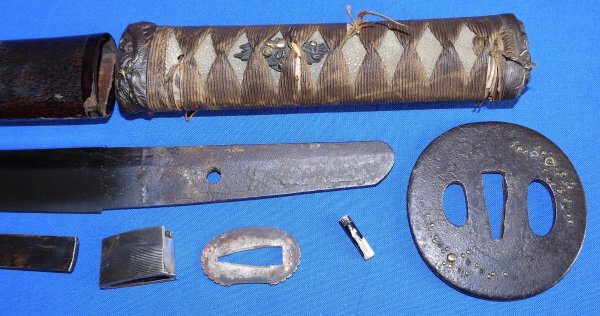 A very nice (high quality) blade in older but very good mounts. 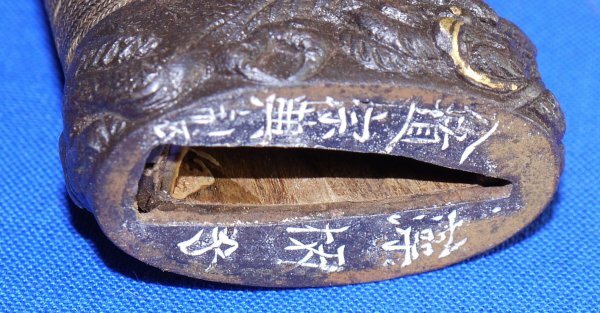 A little work on the saya / scabbard and new ito (silk bindings) would transform this wakizashi into one that many others would envy. 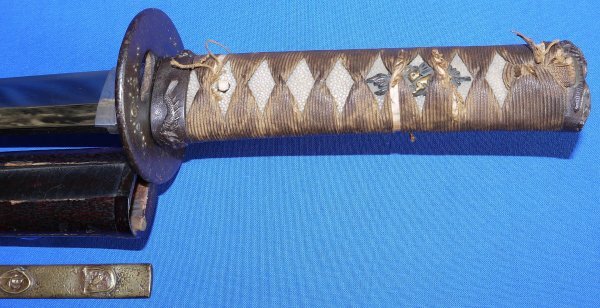 The 18 1/8 inch Nagasa (cutting edge section) blade with one mekugi-ana, suguha hamon, itame hada. 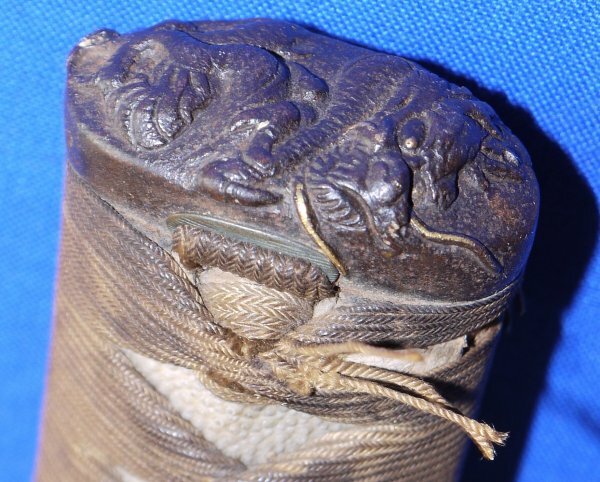 Fully bound (aged / worn) tsuka with golden dragon detail iron signed fuchi-kashira, shakudo and gold menuki in the form of animals amidst foliage, and circular iron tsuba with soft-metal decoration, in its roughened brown lacquered saya with three silvered and copper bands and large iron kojiri. 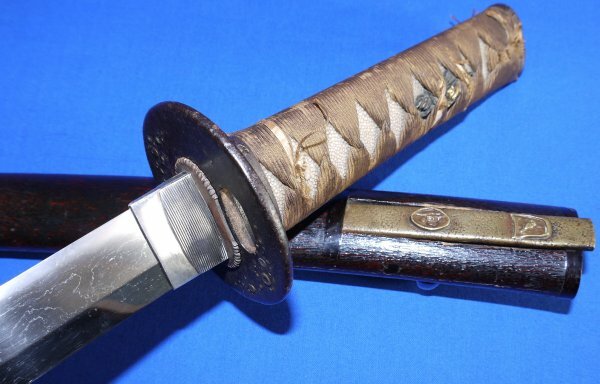 One very small rust spot to the blade one side (now treated with choji oil), otherwise exceptional. A diamond a little in the rough; a very good investment at only £? (too late, now sold). Please quote item reference R21 (0487). Further / full sized images available upon request.